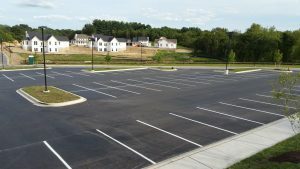 Sealcoating your commercial lot or residential driveway is a cost-effective way of improving your curb appeal and extending the life of your asphalt. Sealcoating your asphalt enables the area to withstand the wear and tear and the effects of the weather. Let the sealcoating professionals at XSealer provide you with unbeatable asphalt sealcoating in Clarksville, MD. Sealing Gaps – Sealcoating helps seal small cracks that may develop into larger cracks due to continued use and absorption of water. When you sealcoat you are adding a waterproofing agent which creates a barrier preventing water from seeping to its base. Fresh Look – When asphalt is exposed to the elements it tends to fades over time. 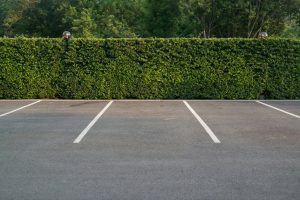 Your driveway or commercial lot may be showing signs of wear and tear such as cracking, bumping, and the like. Sealcoating will give your driveway a fresh look and smooth out wear and tear. Protection from Water Damage – Sealcoating will result in a smooth surface that accelerates the rate at which snow and ice melt, thus protecting your pavement from snow damage and water penetration year round. Save Money – When you complete regular sealcoating, you will be saving money on your driveway in the long run. 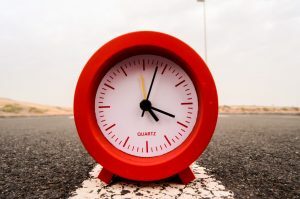 Preventative maintenance, such as asphalt sealcoating, ensures that your driveway or lot stays in top shape and does not break down over time. When you install a new asphalt driveway, consider sealcoating to help extend its lifespan. Reduce Damage – Your asphalt driveway or lot may have a lot of exposure to the sun and other elements which will result in brittle pavement and cracks. Sealcoating will slow down the asphalt’s oxidation process and reduce damage from harmful sun rays. Sealcoating should be done every 1 to 3 years. 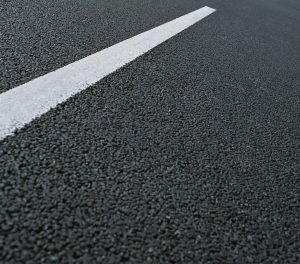 A newly installed asphalt driveway does not need to be sealed immediately, but it is recommended. Additionally, you should sealcoat while the outside temperature is at least 50º or higher. This allows for the sealer to adhere properly to the asphalt surface. Sealcoating is one way to protect and extend the life of your driveway. 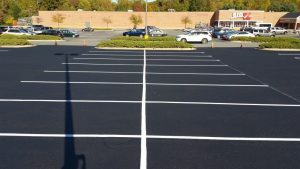 When you are considering asphalt sealcoating in Clarksville, MD, choose the professionals at XSealer. Our experts can fill cracks and potholes, as well as complete the sealcoating process. Get in touch with XSealer for asphalt sealcoating in Clarksville, MD today. XSealer Asphalt Maintenance is a locally owned and operated company based out of Howard County with over 15 years of experience. From driveway sealing, asphalt parking lots and patching, Contact XSealer for all of your asphalt maintenance needs.